Whitehorse exists in large part because it of its proximity to the Alaska panhandle (and as such was a passing-through point during the Klondike Goldrush), and because it was the furthest city upstream on the Yukon River that could be successfully navigated by these flat-bottom boats. (Just upriver from the city, the Whitehorse and Miles Canyon rapids were too rough and destructive for such large vessels, and even for many smaller boats and rafts.) 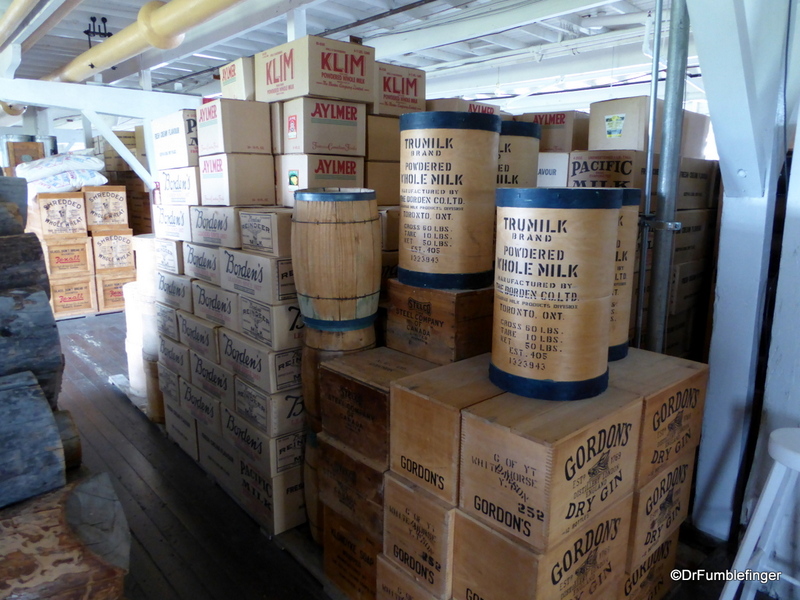 Goods from the coast were transported to Whitehorse, where they were loaded onto sternwheelers for transport into the heart of the Yukon territory. SS Klondike was the name of two sternwheelers. Klondike I was built in 1929 and had the distinction of having 50% more capacity than a regular sternwheeler, while still having a shallow draft and being able to navigate the tricky waters of the Yukon River. It was owned by the British Yukon Navigation Co./White Pass & Yukon Route and regularly traveled between Whitehorse and Dawson City. Klondike I ran aground in June 1936 in the ‘Thirty Mile’ section of the Yukon River, and the British Yukon Navigation company cannibalized the wreckage to build Klondike II the following year. Klondike II was launched in May 1937 and was again the largest ship in the Yukon. 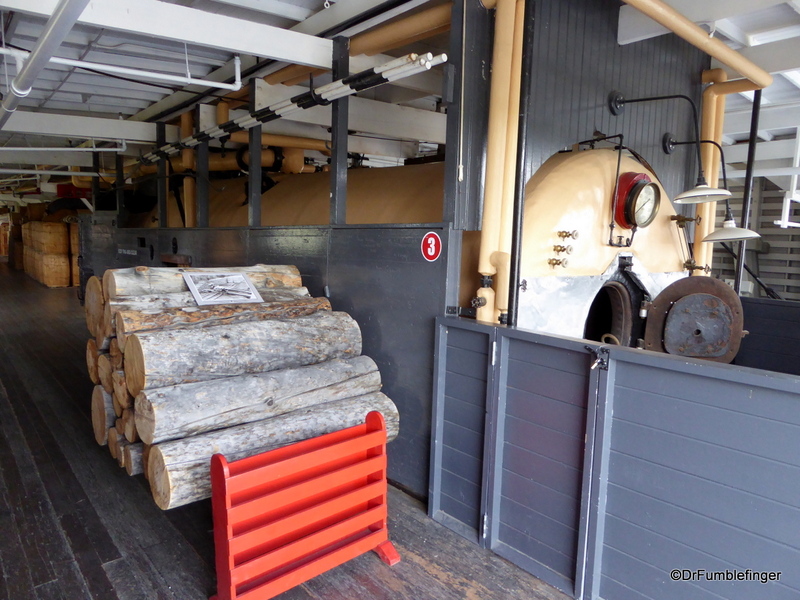 It carried freight until 1950, moving silver-lead ore from Dawson to Whitehorse, while food, fuel and other goods were delivered to gold prospectors and settlers at Dawson. Due to the strong current of the Yukon River, the upstream trip to Whitehorse took about 4 days while the trip back to Dawson only took one and a half days. When the construction of a highway connecting Dawson City and Whitehorse was completed, it lead to the increased use of trucks to deliver merchandise and the demand for sternwheelers was diminished and many were shuttered and decommissioned. In an attempt to save Klondike II, she was converted into a cruise ship. The venture shut down in 1955 due to lack of interest and Klondike II was beached in the Whitehorse shipyards. The ship was donated to Parks Canada and gradually restored. 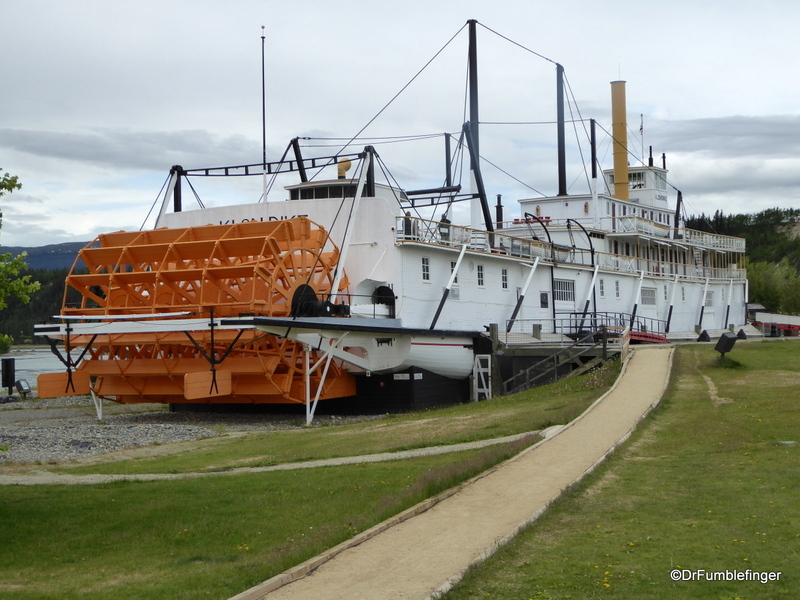 In 1966, Klondike II was moved from the docks area of Whitehorse to its present location. The task required three bulldozers, eight tons of Palmolive soap, a crew of twelve men, and three weeks to complete this rather short move. On 24 June 1967, Klondike II was designated a National Historic Site of Canada and is now open during the summer as a tourist attraction. 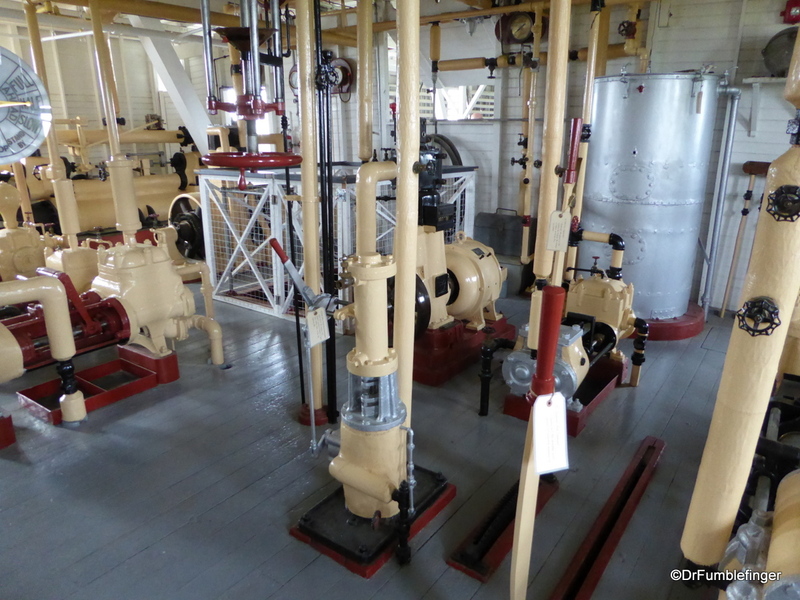 Parks Canada has done a great job restoring the ship and gives you the opportunity to explore it on your own, or as part of a guided tour (not needed — everything you need to know you can glean from the self-guided tour pamphlet) You can explore the engine room, boiler, massive cargo storage area which is filled with time-specific crates demonstrating white goods were moved on the river. You can walk up to the second floor to see the passenger areas, but the individual cabins are closed. The Park Service plays an interesting historic documentary film about the riverboats at work during the 1930s that’s well worth your time. There is a modest admission fee which gains you entry and a pamphlet that lets you take a self-guided tour. Abundant free parking is available on the site. Free admission on Canada Day.